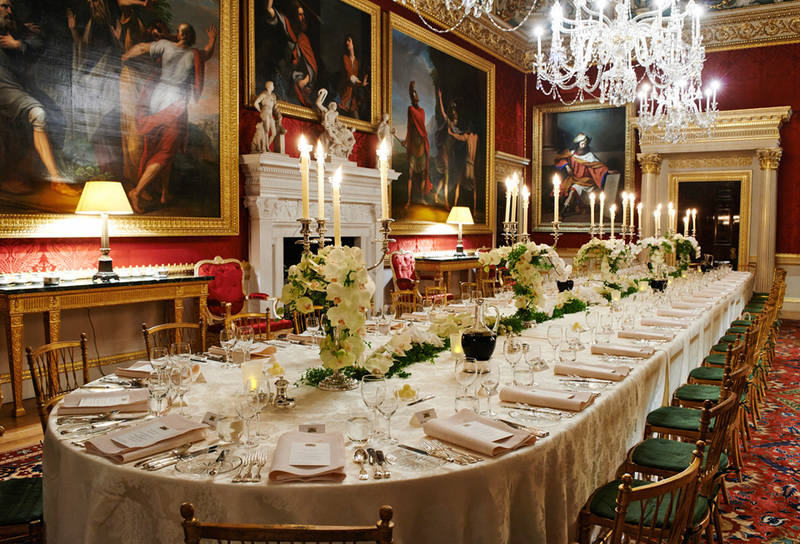 This is the largest and most impressive of the state rooms at Spencer House. 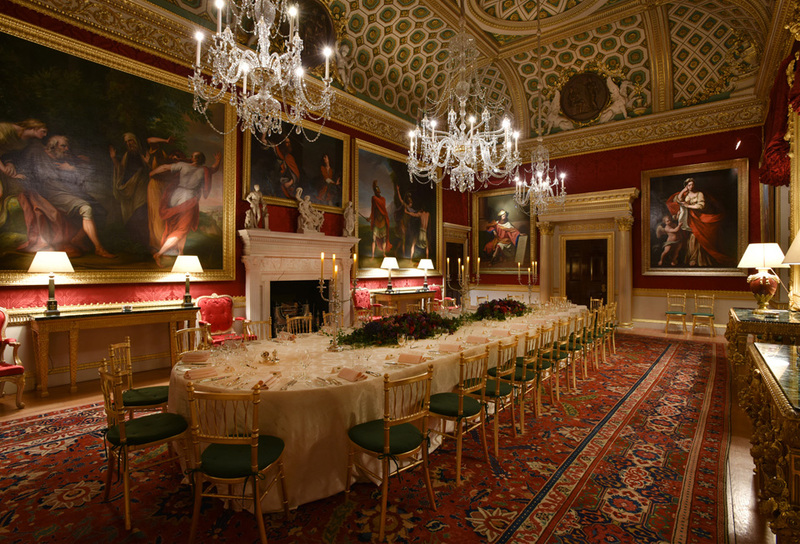 It was intended as a setting for receptions and balls and also as a picture gallery. 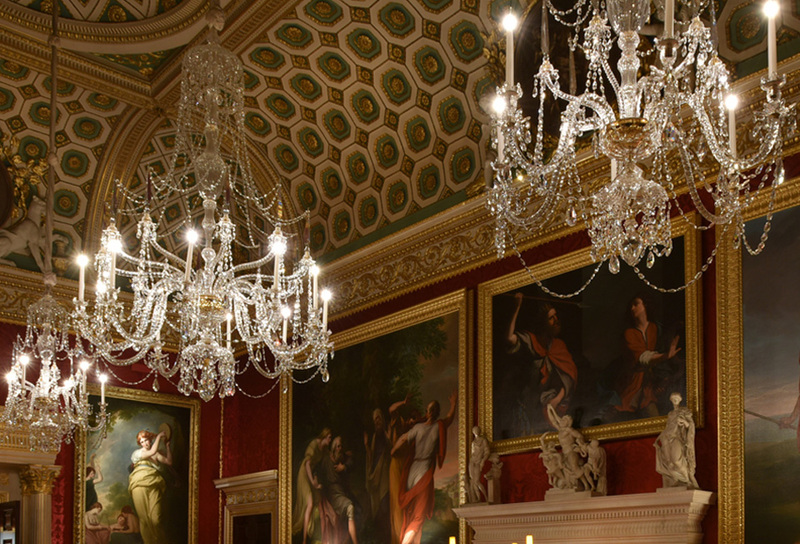 The bronze medallions in the ceiling cove depict Bacchus, Apollo, Venus and the Three Graces and represent the pleasures to which the room was dedicated: conviviality, the arts, love and beauty. 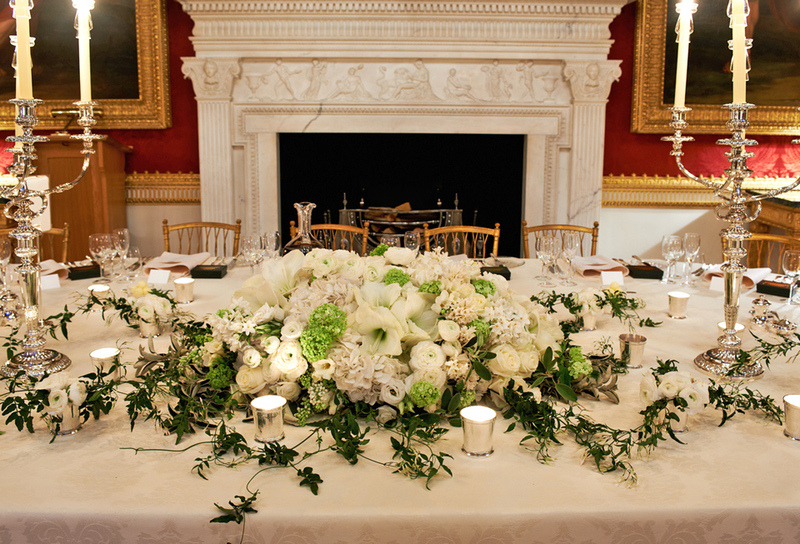 The Great Room is highly versatile and can seat up to 90 guests for lunch or dinner and allow for civil ceremonies and presentations for up to 100 guests. 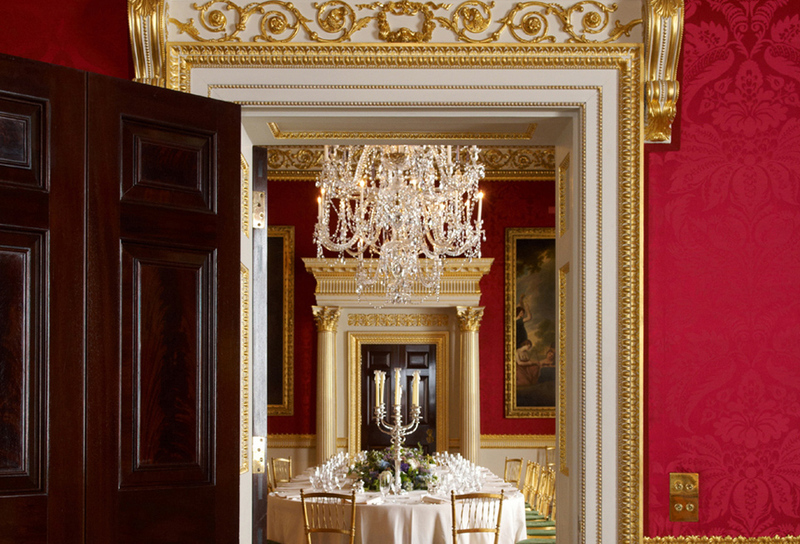 Guides can be arranged to mingle with guests or offer a short speech before lunch or dinner, to describe the features of this impressive room. To see more of the Great Room, please click on the adjacent image and scroll through the picture gallery. For room configurations, view the floor plans. 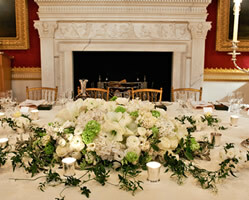 The Great Room is licensed for unique wedding ceremonies for up to 100 guests. 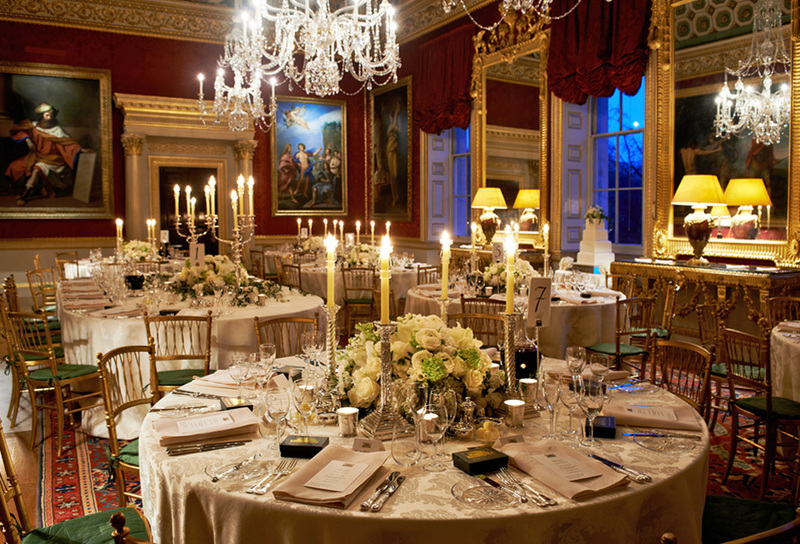 Receptions, wedding lunches and wedding dinners all take place here, in its magnificent setting. Do feel free to contact us for wedding ceremony ideas. 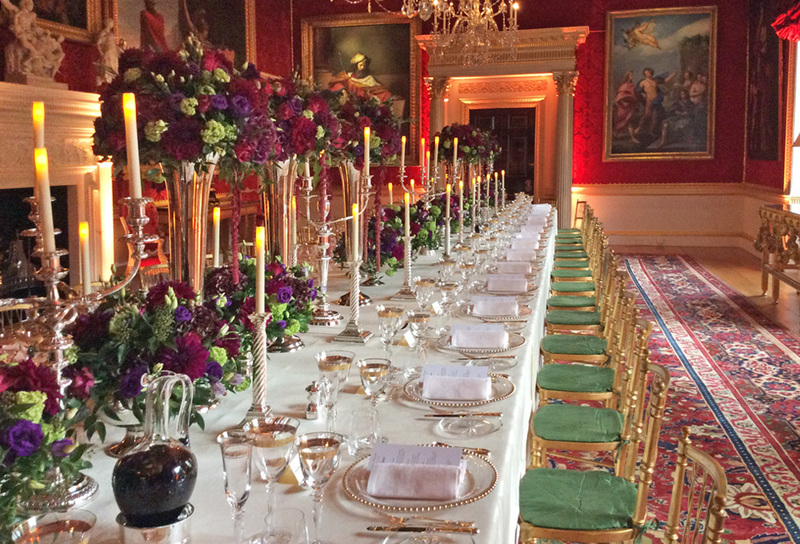 Our experienced events team is committed to making every wedding at Spencer House truly memorable and will provide you with a clear proposal of ideas and possibilities. 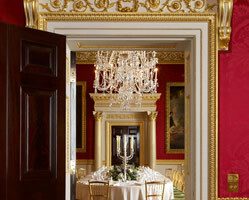 Benefiting from being in the heart of London, The Great Room is a unique and quiet space which can accommodate up to 100 delegates for corporate presentations. To enhance these gatherings, we can arrange audio visual equipment and do of course provide WiFi. Musical recitals for similar numbers can also be accommodated in The Great Room. 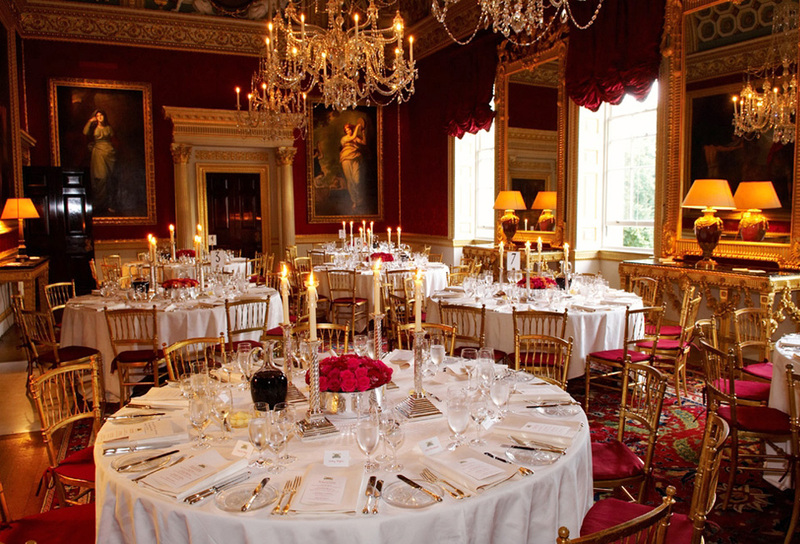 When hiring Spencer House, the client has exclusive use of all the State Rooms.  Rooms cannot be hired individually.